A £350,000 extension to the ‘park and ride’ facility at Castledawson Roundabout will open next week. From next Monday the 192 additional car parking spaces, including 10 disabled spaces, will be available for commuters, bringing the total number of available spaces to 270. 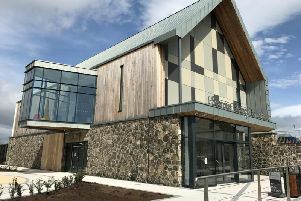 It’s welcome news for many travellers' who were unable to find a parking spot at the park and ride if they arrived late in the morning and had to park on the Old Magherafelt Road. Local politicians had raised safety concerns with the department and had called for additional spaces to be made available. Construction work on the extension started last November. It provides additional capacity for safe and convenient parking and will facilitate shared onward journeys. It will also be served by a regular bus service operating along the main A6 and offers commuters an attractive alternative to using the private car for their journey between Belfast and the north west.